Mark your calendar for February 8th & 9th – you will not want to miss it! 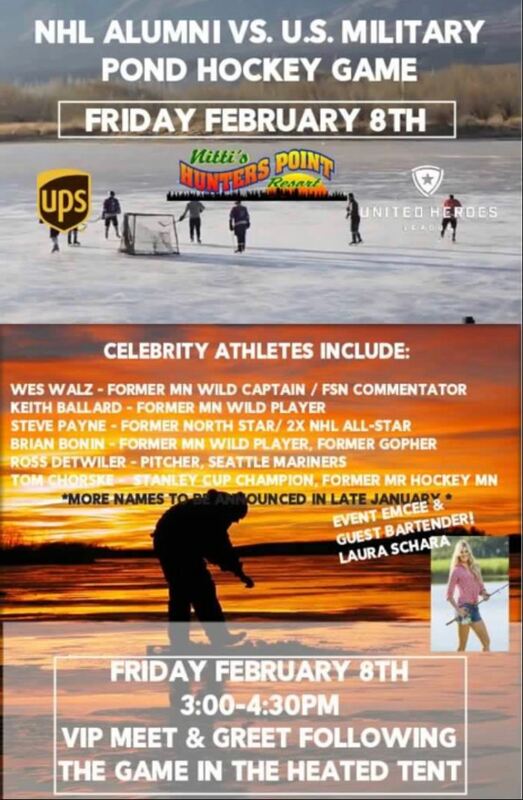 Friday, February 8th is the Annual Pond Hockey Game on Lake Mille Lacs: NHL Alumni vs US Military! Game is 3:00-4:30pm with VIP Meet & Greet following the game in the heated tent. Then, stay for the fun on Saturday, February 9th for the United Heroes League – 2019 UPS Ice Fishing Tournament benefitting military families!